← How’d we get here? Well they’re not shoes really; they’re slippers. Yes, the fur is real. No, they’re not politically correct. Feel free to contact PETA if you feel the urge. I’ll understand. 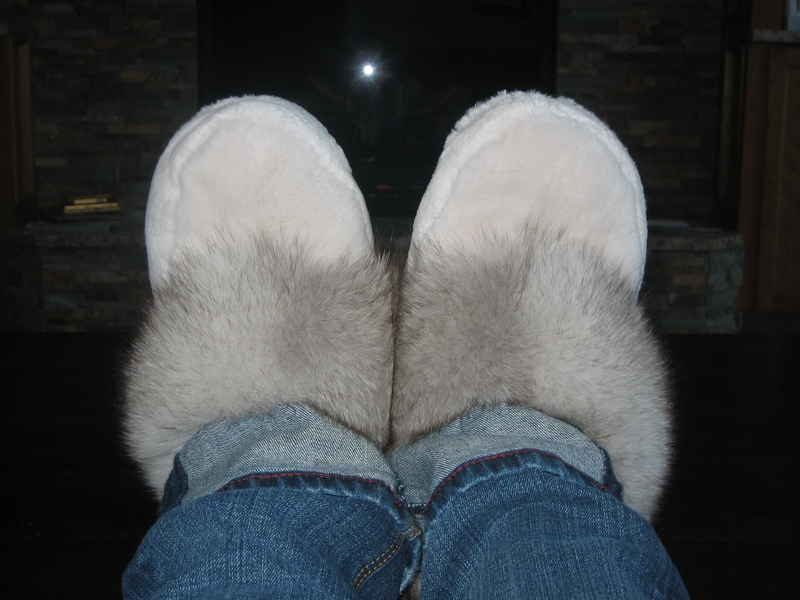 But DANG, when it’s -5 outside, they are WARM! Oh, and they make me feel a little like an Indian princess. Has PETA made it that far North?